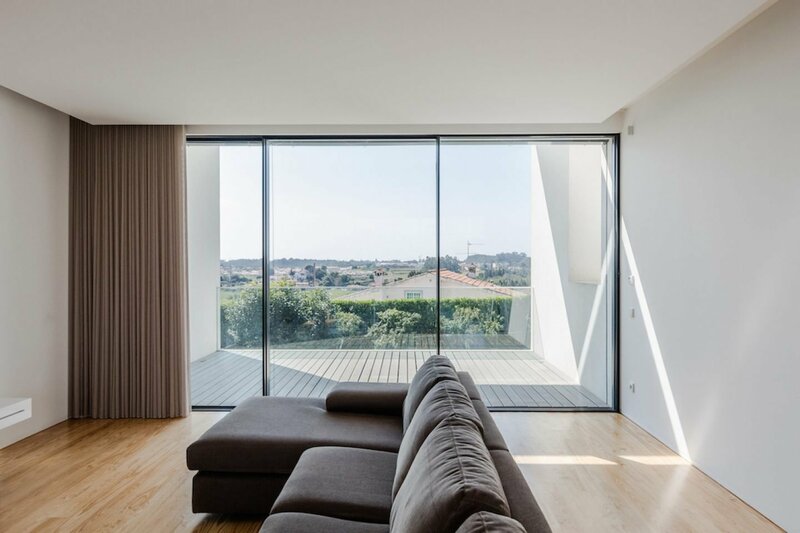 Architecture practice Raulino Silva Arquitecto created a minimal family home in the north of Portugal near the city of Vila do Conde. 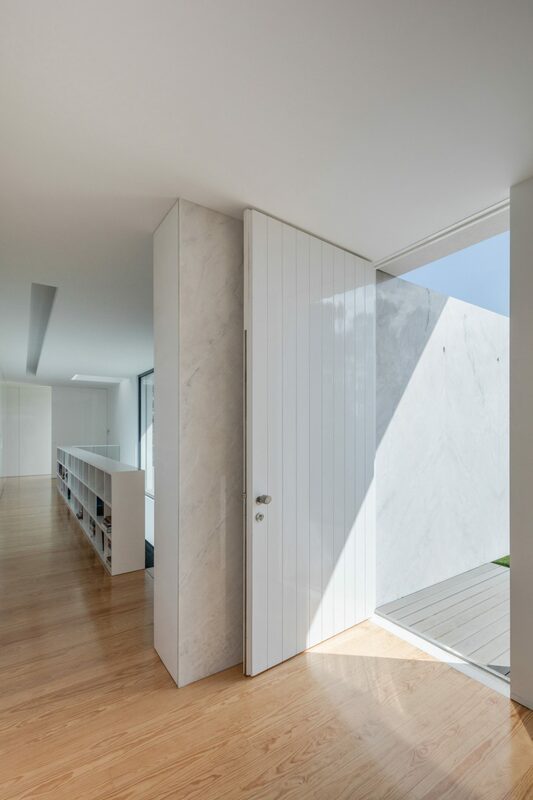 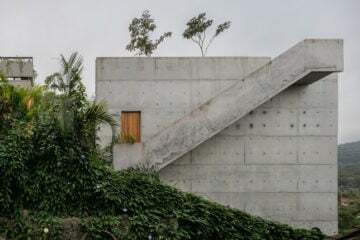 To incorporate the modern structure into the surrounding area, the building was set atop a hill in the Touguinhó village with the local landscape and sunlight exposure in mind. 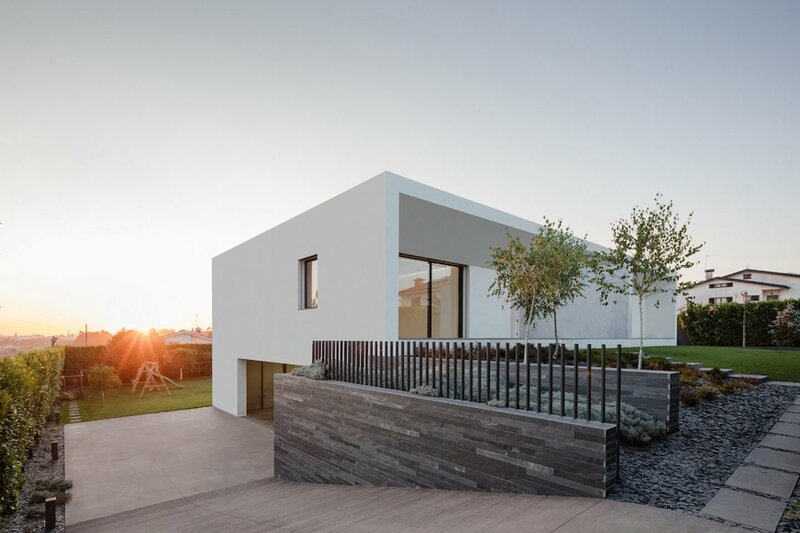 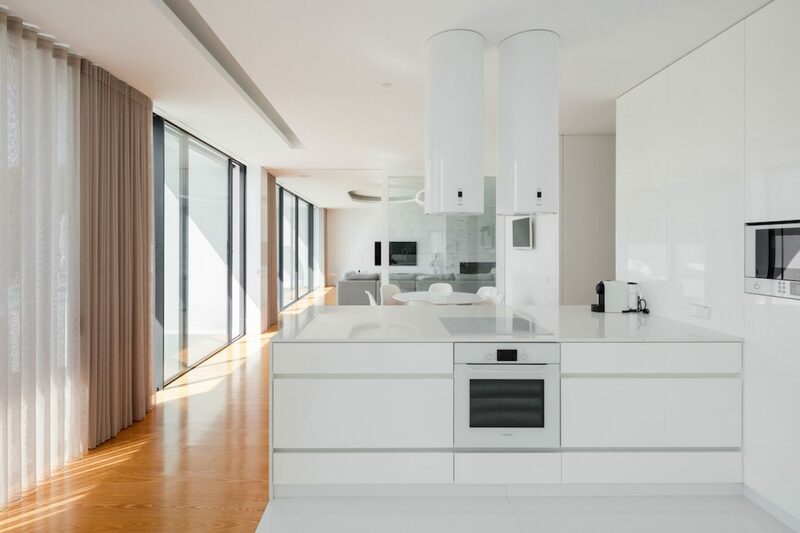 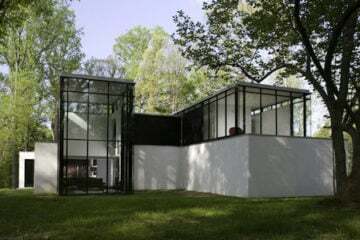 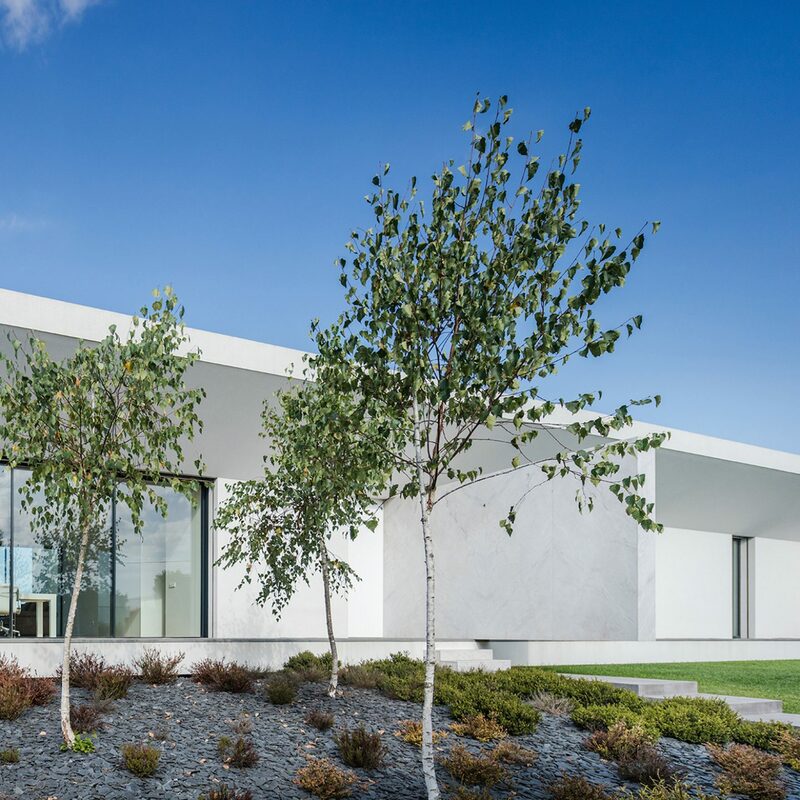 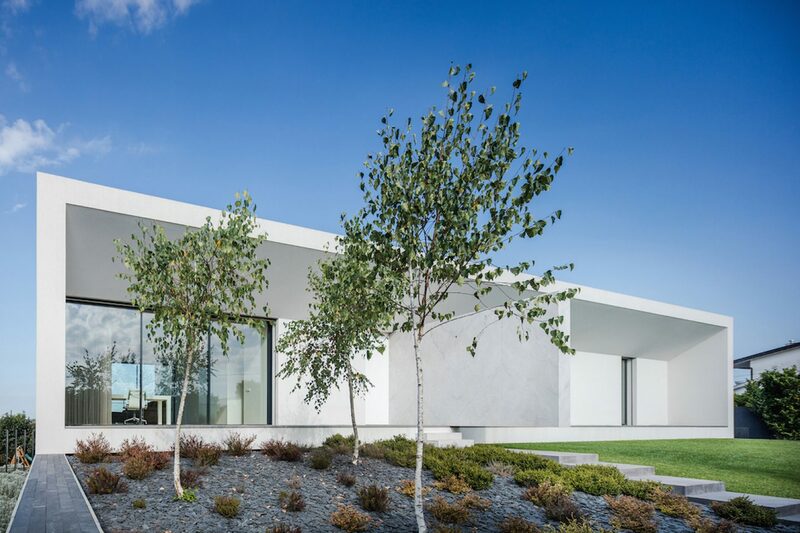 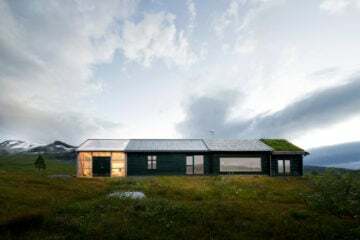 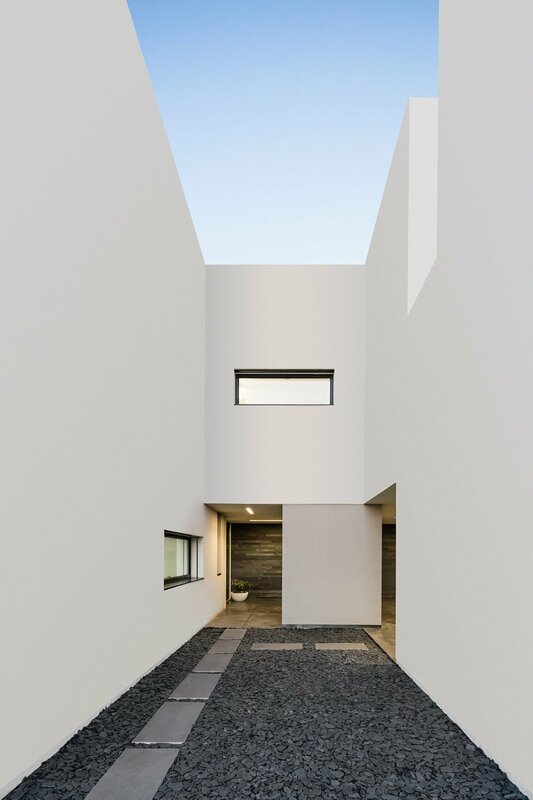 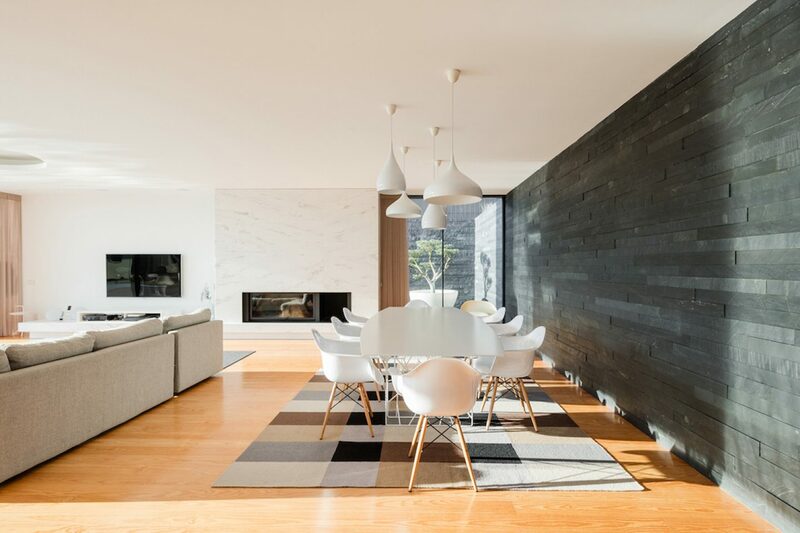 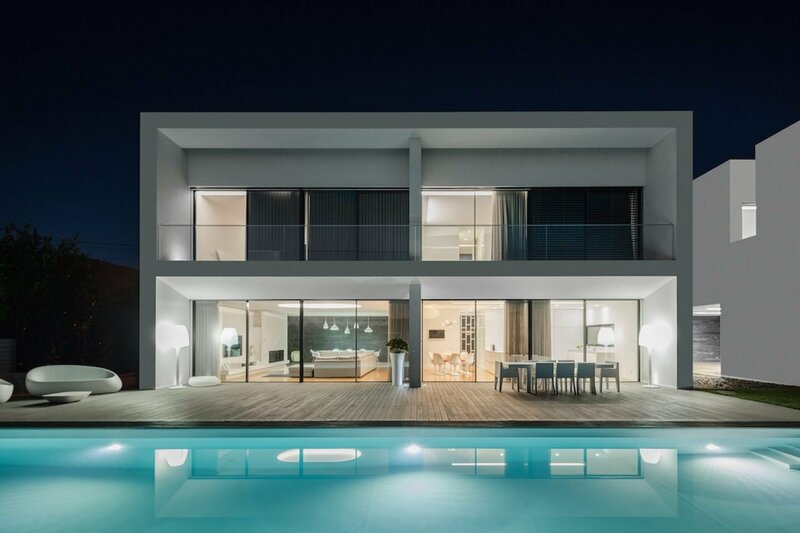 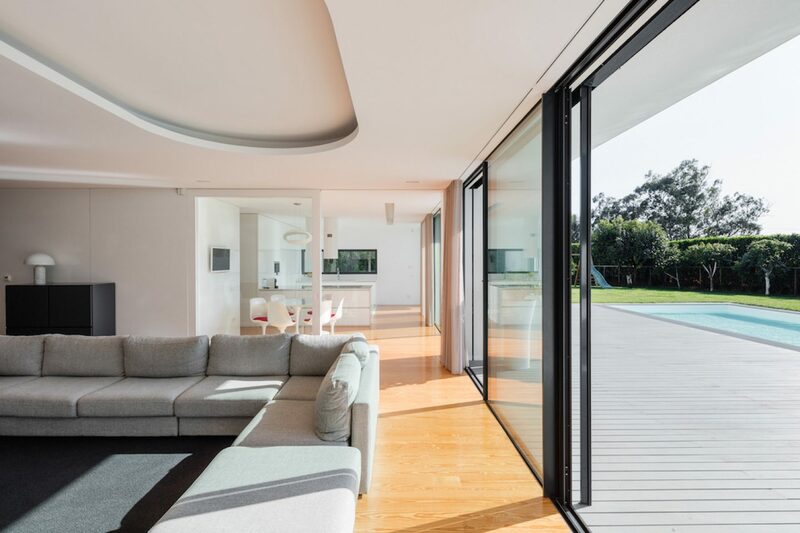 The exterior consists of a white finish, while the interior design features various materials such as pine wood flooring in the living spaces as well as white marble in the bathroom and black concrete in the garage and laundry room. 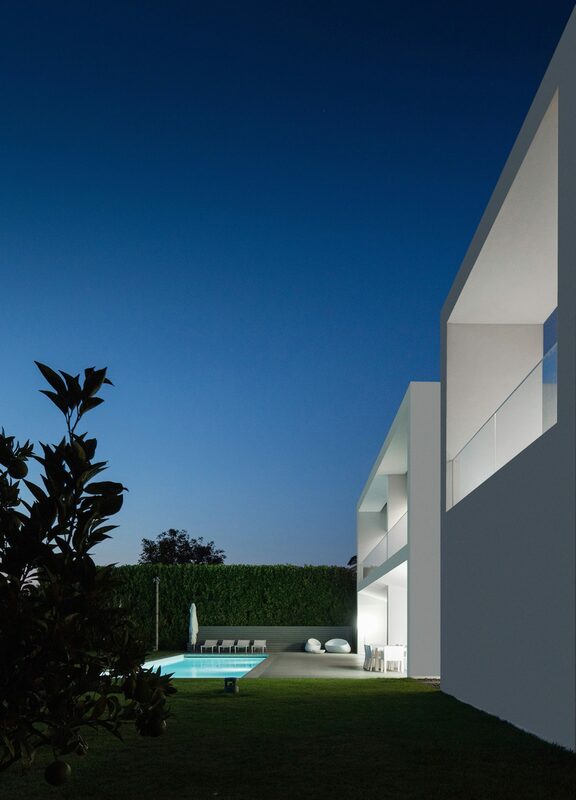 Additionally, there’s a pool in the garden, serving as a retreat with a view of the nearby sea. 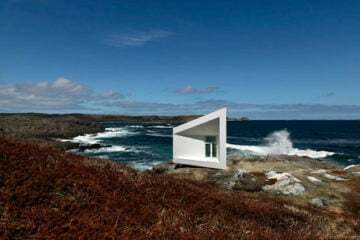 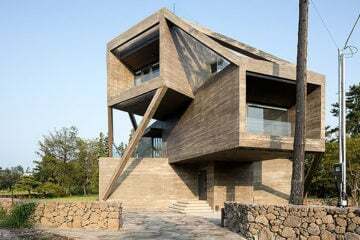 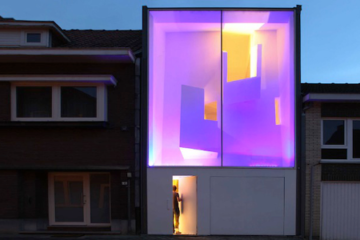 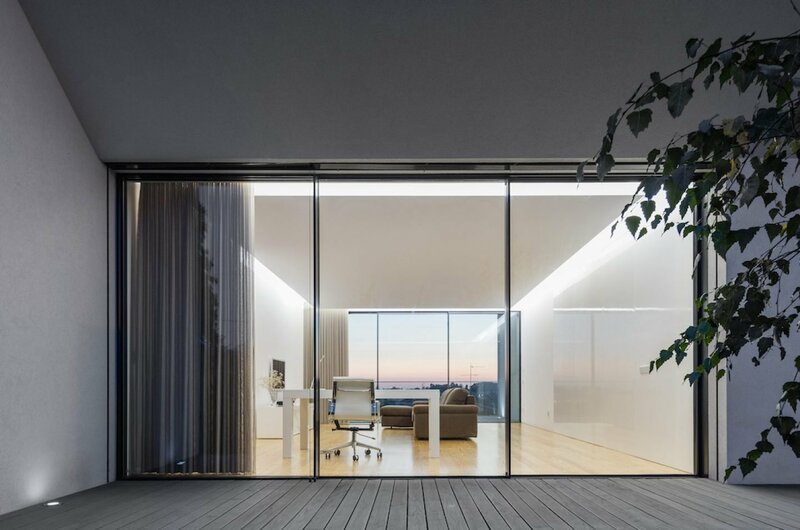 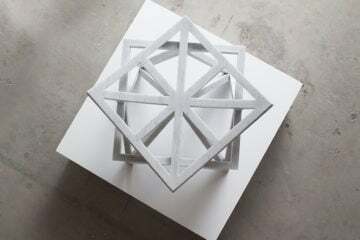 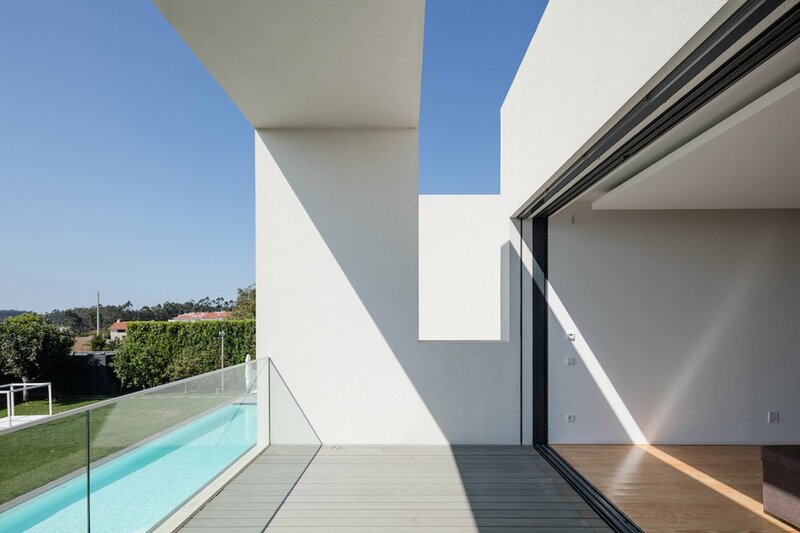 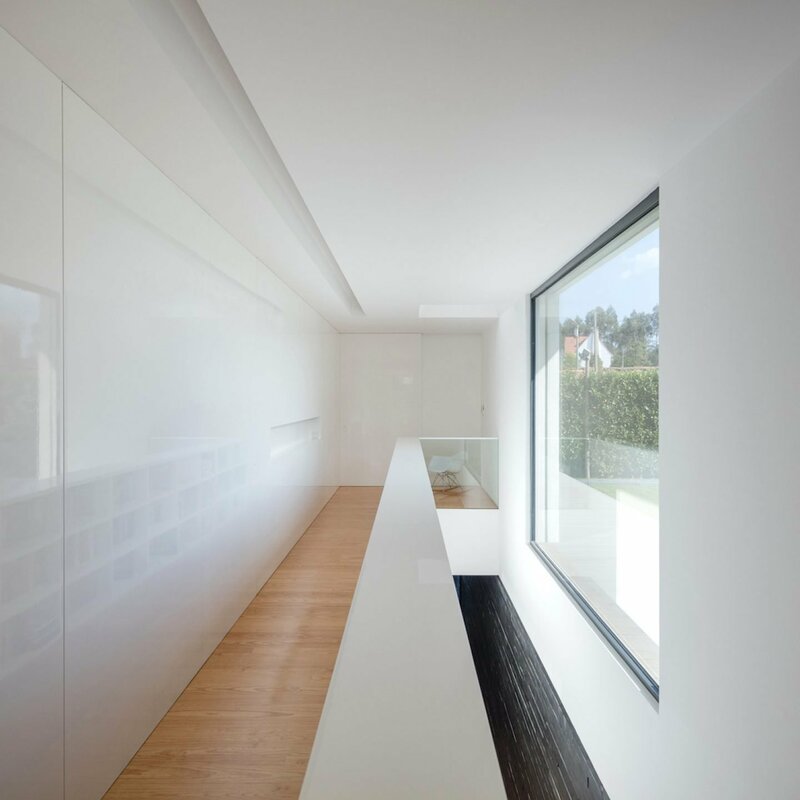 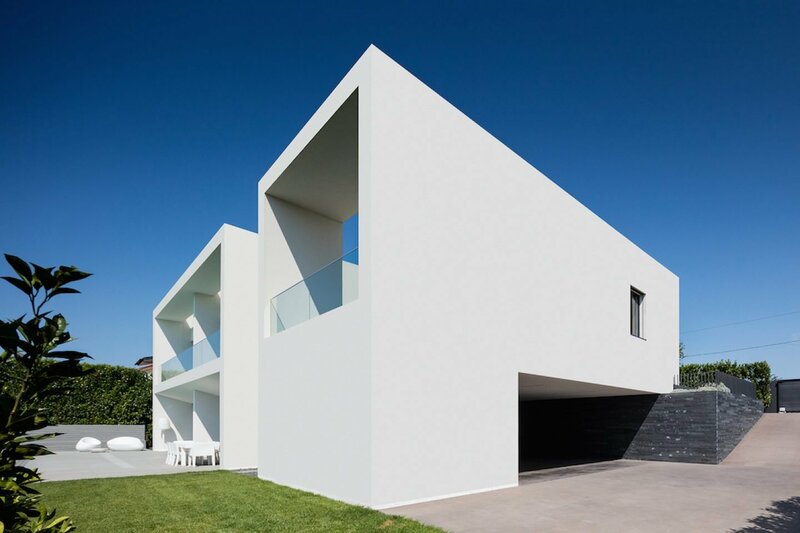 The architecture office is also based in Vila do Conde, Portugal.